LOOP 02g – Scottish Cartoon Art Studio - 20 years in business! Later a chief executive apologies to JOYCE for expecting tea at a meeting after failing to give her any notice. 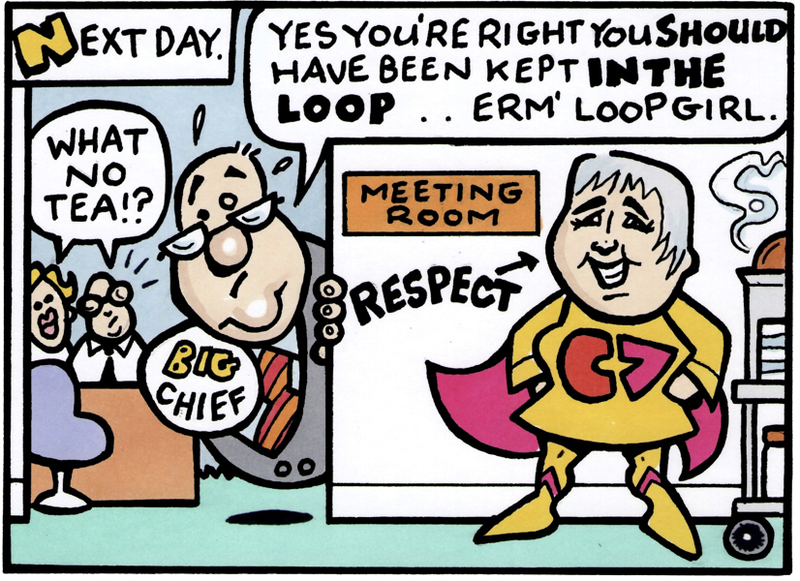 JOYCE has also become a CLF superhero. The End.